A man is being stalked by a child who wants to kill him. Who is the child? Or perhaps the question is, what does the child symbolize? Could this book be an autobiography in disguise? 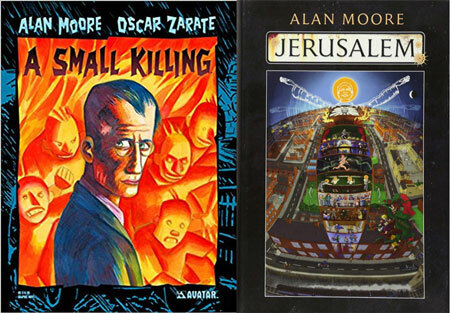 Koom and Mike discuss Alan Moore and Oscar Zarate’s underappreciated 1991 work A Small Killing— as well as Moore’s prose novel Jerusalem and simply the nature of Alan Moore. No user commented in " #622 “A Small Killing” – and also “Jerusalem” "